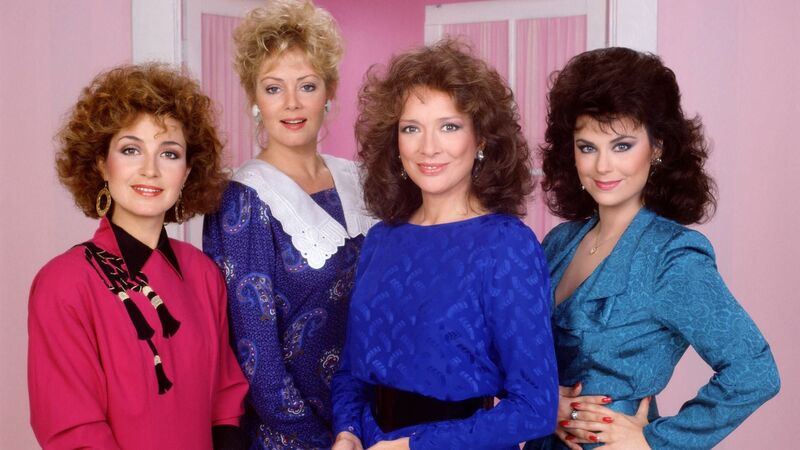 Here's where to watch every episode of Designing Women season 6. Mouseover or tap an episode to see where to stream it. Click or tap the play icon to stream it on the best available service. The Big Desk (1) Sep 16, 1991 Cousin Alison Sugarbaker buys out Suzanne's share of the business and then moves in, complete with an enormous desk and a take-charge attitude, Charlene's divorcing younger sister Carlene arrives. The Big Desk (2) Sep 16, 1991 Cousin Alison Sugarbaker buys out Suzanne's share of the business and then moves in, complete with an enormous desk and a take-charge attitude, Charlene's divorcing younger sister Carlene arrives. A Toe in the Water Sep 23, 1991 Julia thinks she's ready to resume dating, but Alison disagrees, questioning the manliness of Julia's new beau. Meanwhile, Allison and Anthony continue to bicker about who owns Suzanne's house, until Anthony obtains an affidavit asserting his right to occupy the house -- and allows Allison to stay on only as her personal servant. Dwayne's World Sep 30, 1991 Mary Jo protectively takes divorcee Carlene under her wing -- going overboard with a lie about Carlene's latest flame -- when ex-hubby Dwayne shows up to sweep Carlene off her feet again. Marriage Most Foul Oct 7, 1991 When Allison's ex-convict former flame (whom she turned in for insider trading) is released, she fears he is plotting revenge, instead, he proposes to her. Picking a Winner Oct 14, 1991 Mary Jo turns to a sperm bank to get pregnant, prompting mixed reactions at work. Meanwhile, Julia threaten to rip the draperies from the windows of the home of a wealthy client whose payment is overdue. Last Tango in Atlanta Oct 21, 1991 When the Sugarbakers women are persuaded by Anthony to help with an outreach program at his former prison, they find themselves in the middle of a prison break and are held hostage by Anthony's old cellmate T. Tommy Reed -- who takes a liking to Allison. The Strange Case of Clarence and Anita Nov 4, 1991 Perhaps the most famous episode, and a rare instance of a situation comedy making direct political comment on a current issue. The Sugarbakers women take sides on the controversial confirmation hearings of U.S. Supreme Court nominee Clarence Thomas and Anita Hill's accusation of sexual harassment: Mary Jo and Julia side with Hill and Allison with Thomas. Conflict spills over into Allison's birthday party, where Mary Jo and Julia turn up in costume just in time to hear a television interview about the hearings with Allison. Just Say Doe Nov 11, 1991 When Mary Jo's womanizing brother visits, falls for Allison, and takes her and Quinton on a deer-hunting trip, the women secretly tag along. Julia and Rusty, Sittin' in a Tree Nov 18, 1991 Julia's second date with electrician Rusty becomes a group outing with Carlene and Allison dating junior-college guys, and Anthony tagging along to the drive-in with Bernice to keep an eye on things. Julia and Mary Jo Get Stuck Under a Bed Dec 2, 1991 Mary Jo and Julia are trapped under anchorman Chuck Tremain's bed when a Christmas design contest inspires them to examine a competitor's handiwork for evidence of plagiarism. Real, Scary Men Dec 9, 1991 When their van breaks down the women become unwelcome guests at a men's club retreat Wildman Sanctuary, where Anthony is trying to land a new account. Tales Out of School Dec 16, 1991 Anthony sees opportunity when his normally unfriendly law professor is attracted to Carlene and invites the two of them to his annual Christmas party. Driving My Mama Back Home Jan 6, 1992 Julia accompanies Mary Jo and her mother Darla on an overnight bus trip back to South Carolina; meanwhile, the other employees get locked into the storage room while doing inventory. Payne Comes Home Jan 13, 1992 Julia delights in the opportunity to dote on son Payne when he returns for a visit -- which Julia learns will be permanent. Carlene's Apartment Jan 20, 1992 Carlene moves into her own apartment on the wrong side of town, where space is at a minimum and burglars roam free, so the Sugarbakers staff visit to try to persuade her to find a better home. Mamed Feb 3, 1992 A tough-talking, hard-drinking, temperamental Broadway has-been promises to make Julia rue the day that she stole the role of Mame from her in Anthony's community-theater production. But on opening night she is too drunk to perform and Anthony is pressed into taking on the role. A Scene From a Mall Feb 24, 1992 Julia stages a sit-in at the mall to protest racial mistreatment of Anthony by brutish cops who accosted him for window shopping near a jewelry store -- and television coverage links Anthony romantically with Allison. All About Odes to Atlanta Mar 2, 1992 Songwriter Carlene gains notoriety -- and her first groupie -- by entering her ditty in the semi-finals Atlanta's theme-song contest, where she performs with Mary Jo and Julia, all decked out in ""big hair"" and costumes. I Enjoy Being a Girl Mar 9, 1992 On an overnight Girl Scout outing, Carlene's leadership abilities take a beating, while Allison's methods seem to charm the spoiled troopers, and Mary Jo and Julia advocate roughing it. L.A. Story Mar 23, 1992 Allison thinks she's invited to stay at Charles Nelson Reilly's home, so the decorators do Hollywood and get flimflammed on an expenses-paid trip accompanying investor Allison to the set of her movie. A Little Night Music Apr 27, 1992 Julia strolls down memory lane while awaiting the results of hysterectomy tests at a hospital whose workers are on strike, and a surgeon turns out to be her prescription for romance. Shades of Vanessa May 4, 1992 The Sugarbakers women use Anthony as ""date bait"" to reel in a big account involving a hotelier's flamboyant debutante daughter, who's angling for a whopper of a deal, then Anthony announces he is marrying Vanessa, who intends to become a partner in Sugarbakers.